Platform: PC Disc Experience the value-rich graphic design advantages of CorelDraw at home or atschool, featuring user-friendly tools for layout and tracing, along with thepro photo-editing tools in Corel PHOTO-PAINT and Corel After Shot - all in oneaffordable suite. 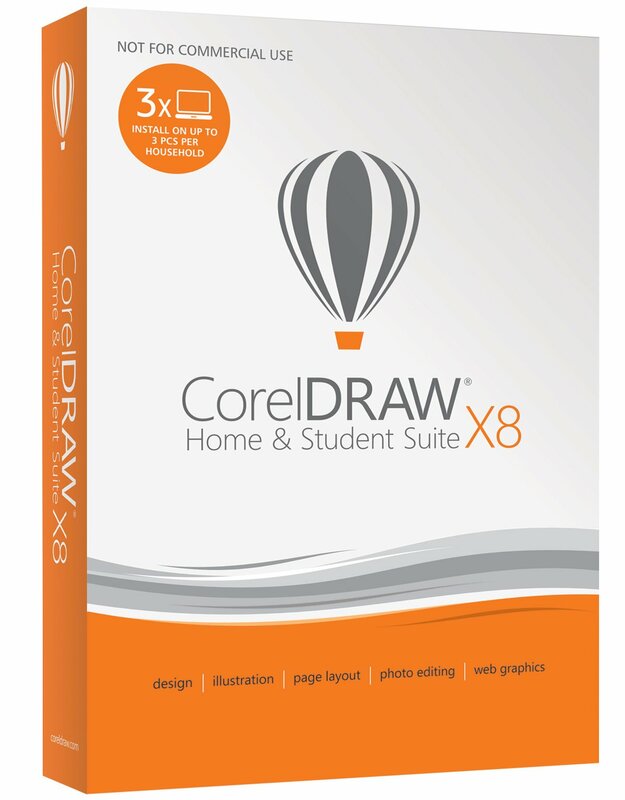 Jump right into CorelDraw Home & Student Suite X8 with awealth of versatile resources: a quick start guide, interactive Startup Tour,training videos, professionally-designed templates, plus high-quality photosand illustrations. Handcrafted with care for hobbyists of any level, thisintuitive suite will help you create logos, newsletters, reports, photoprojects or social media content with speed, ease and confidence. Stay on taskwith the new advanced support for Windows 10, Real-Time Stylus, multi-monitorviewing and 4K displays.